A group of state judges wants to persuade the public to cash in one of our fundamental rights: trial by a jury of our peers. The idea, floated by the California Judges Association as a cost-saving measure, requires passing a state constitutional amendment to shrink juries in misdemeanor criminal cases from 12 to eight members. Paring down juries is a dangerous bargain. A 2004 study by the National Center for State Courts found that while shrinking juries may save money, it would result in less diversity in viewpoints, backgrounds, experiences, race, age and gender. In short, an accused person would be less likely to be judged by a jury of his or her peers. Considerable evidence shows smaller juries result in more mistakes and less justice. The concept of 12 jurors has been tried and tested since the 17th century. And as it turns out, modern behavioral research backs up these 600 years of common-law practice. A landmark 1977 study by psychologist Michael J. Saks, which contrasted the decision making of six-member juries with that of 12-member juries, found that smaller juries are more likely to convict the innocent and acquit the guilty. Larger juries make more accurate decisions for two reasons, researchers found. The first follows basic measures of reliability: Larger juries mean more people remembering and scrutinizing the evidence, leading to a more complete picture of the facts. The second reason echoes countless studies of group behavior: Those in smaller groups feel more pressure to conform to popular opinion – even if it is wrong. By contrast, dissenters in larger juries are more likely to find an ally, giving them the courage to stick to their convictions. A 1997 analysis of all jury-size studies echoed these findings. The same judges who endorse smaller juries also propose cutting the number of prospective jurors that lawyers can eliminate through pre-emptive challenge. This is a particularly dangerous idea, because these challenges provide prosecutors and defense attorneys an opportunity to weed out biased jurors. Taking the issue further still, a committee of judges is now pushing for abolishing all jury trials for crimes that carry a sentence of less than six months. They claim that these changes will save $5 million statewide, which is less than 0.2 percent of the state court’s $3.1 billion annual budget. Sacrificing the quality of justice hardly seems worth the savings. Thomas Jefferson once said, “I consider trial by jury as the only anchor ever yet imagined by man, by which a government can be held to the principles of its constitution.” While cutting the size of juries might seem like a convenient idea, our right to a trial by a jury of our peers is the heart of our legal system, not the fat to be trimmed. 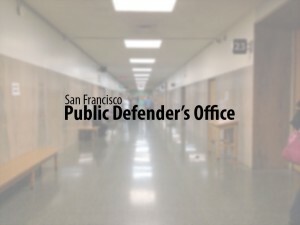 Jeff Adachi is the public defender of San Francisco.